Time 24, provide high added value contract manufacturing services to a wide variety of industries including aerospace, rail, defence, medical, telecommunications, specialist automotive, petrochemical, marine, machine tool, process automation and others. Often having specialist industry approvals we are also supplying highly skilled labour to customer sites to support our contract manufacturing services. Time 24 are a UK market leader in the supply of control & panel wiring, modular outsourced product, electromechanical assemblies and full turnkey systems integration. Time 24 are also a major supplier of contract labour for specialist wiring and assembly with over seventy staff currently working at customers premises. The opening of our Czech Republic division in 2007 has been a huge success. Taking over some of the staff of the American Delphi Automotive Corporation this division offers a superb highly trained and skilled workforce delivering low cost high added value wiring and electromechanical assemblies. With 60,000 square feet available for additional growth our Czech facility, located close to Zlin and Brno, is now supplying a range of our Defence, Rail, Aerospace, Petrochemical and Medical customers. Time 24 are a UK market leader in the supply of control & panel wiring, modular outsourced product, electromechanical assemblies and full turnkey systems integration. 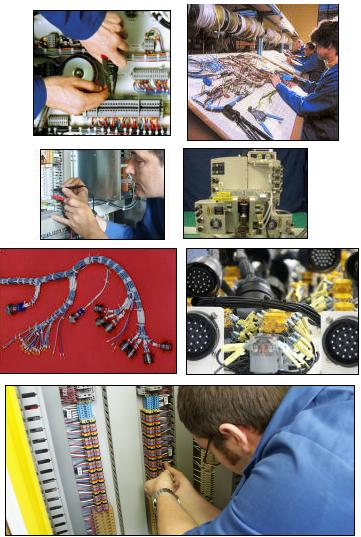 Time 24 are also a major supplier of contract labour for specialist wiring and assembly with over seventy staff currently working at customers premises. Time 24 have engaged in intensive Lean Manufacturing Improvement Programmes at all sites. We are constantly seeking to minimise the resources required for production by eliminating waste (non-value added activities) that inflate costs, lead times and inventory requirements. This is achieved by the use of Pull Systems, Flexible Workforces and Production Facilities, continuous Quality Improvement Programmes and Preventative Maintenance.